My new tool after Tracks & Seasons. Easier handling, more functions and better code. It's possible to save 5 different graphical configurations and unlimited different server. You can connect to these server with your stored configuration by doubleclick on entry. Port-configuration and start from dedicated server. All Mods can be saved with different graphical configuration, AI-Strength, visible oponents and much more functions. Each Mod can be saved with it's own configuration. Show statistic of all mods like "fastest lap" on each track. You can change money and experience for next mod-start. Possibility to enable/disable Mods, disabled Mods are not diplayed in rFactor. Possibility to convert unmixable mods into mixable. 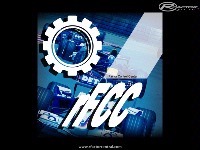 Some Mods like ETCC2003 can't be use in "All Vehicle Mod" or your own Mod. The convert function, change some special entries, so the mod can be use with vehicles of other mods. You can revert changes by mouseclick. Mod converting don't work with Historical GT Mod, cause of respect vor modder i don't want to enable it. You can change tracknames to sort them in rFactor. Selecting between "original", "new tracknames" and "new tracknames by selection" by mouseclick. Possibilty to filter and search for tracks is implemented. You can create your own mods or seasons. Possibility to select vehicles from different mods (not for seasons). Setup race configuration (race length, "race by time" or "race by laps" ...). Select your tracks by filtering with filters you have created in "Tracks" modul. We all do . not have to wait for the brawl stars hack here and this can be the way to get the brawl stars gems hack online at http://brawlstarshacked.com so that we can get the gems and gold online. is it possible with this tool to add and delete cars to make your own mod with existing cars (example-like combied IRL and Champcar cars to make a new Indycar series, or another example Like Porsche RS for LMP, ProtoRacer Proton for GTP, Ford GT1 (f I could find out) for GT1, and Porsche 997 for GT2 in another racing series to make your own sportscar series? 1st, sorry to all who don't understand german. it's just a bug report. leider so nicht zu gebrauchen. schade, denn das konzept klingt interessant. ein grossteil der dialoge ist nicht zu lesen: schwarze schrift auf schwarzen hintergrund ? statistiken funzen so gut wie gar nicht. bekomme nur die runden von maximal 1-3 strecken angezeigt. weiter bugs kann ich nicht berichten, da ich mich hüten werde, auch nur eine der funktionen zu testen, die irgendeine meiner dateien manipuliert. habe zwar backups von meinem rfactor, kann aber auf wiederherstellungstress gerne verzichten. hätte gerne ein positiveres feedback gegeben. This add-on was a life-saver for me. I had downloaded/installed a larger mod (SimcoDerby) which is good. I then upgraded rFactor from 1250 to 1255 and after that, hardly anything would work. So I tried this control center and wow....everything works! Well...I should say that so far I've used it to launch 4 mods succesfully, two of which I previously could not get to work correctly. I used the control center to move my rarely used mods aside and maybe that was the trick. What's also great is that if you launch a mod directly from the control center, you'll get to see the appropriate video for the mod you launched, which I like (for now). In this version tool worked with registry entry, don't know what's the problem on your PC. I have 2 installations too, no problems. But the actual version I changed this, now it support up to 5 rFactor installations, don't need the registry entry. Wont work ? Well works but have two installs of rfactor and will only go to the one i use for tests? I have it setup for the right version and get an error? It says app not found? If i set it up for my test rfactor install it works!!! Ive checked the registry and it points to the correct install. does it matter where this program is ont harddrive? does it have to be in rfactor directory?